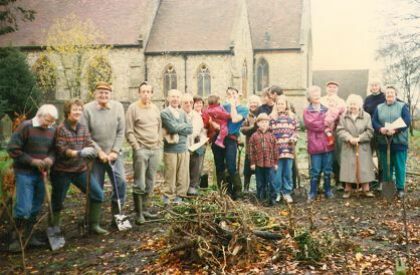 We started clearing the very overgrown area on the east side of St. Mary’s in 1994 (see pictures below), and a few of the first volunteers are still members of the congregation. 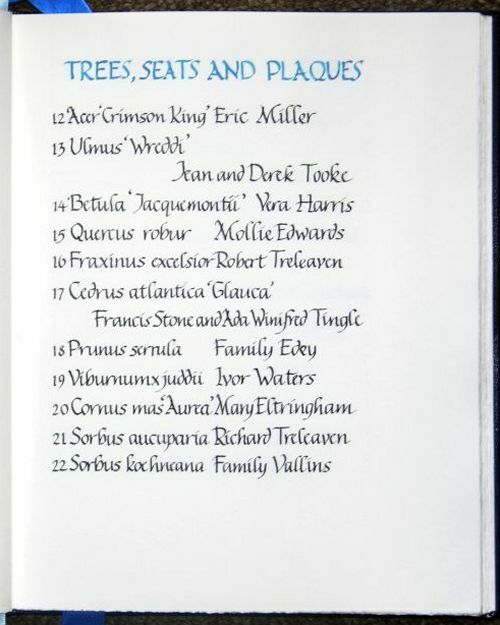 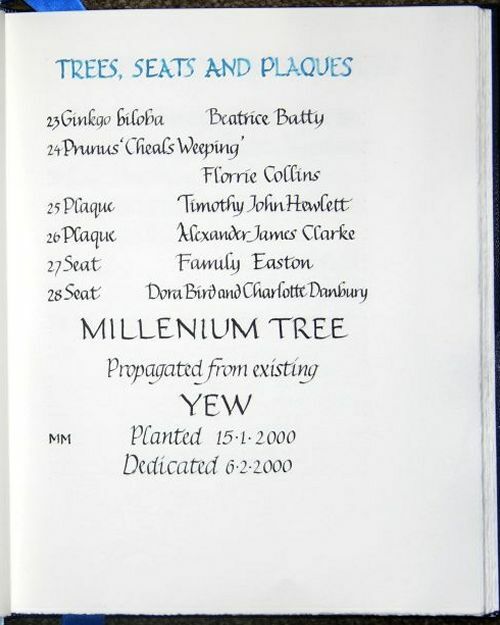 A major tree and shrub planting session was organised in 1995, and plans for the Garden of Remembrance were drawn up in 1996, with a Faculty being granted the following year. 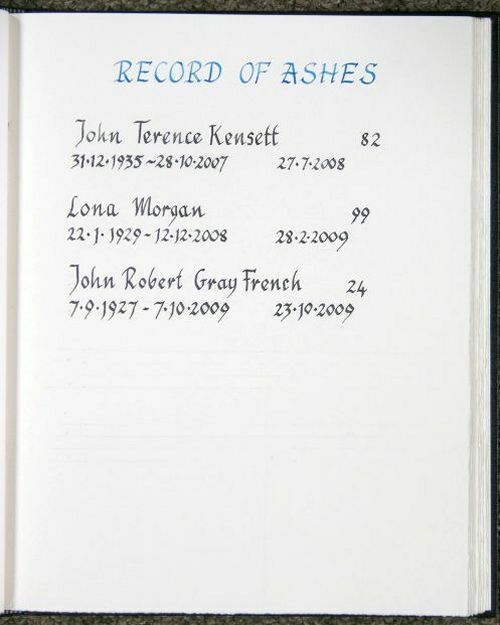 The conditions stipulated in the Faculty are very strict – ashes may not be scattered on the surface nor buried in a casket, but they have to be strewn in a shallow grave with the turf re-instated. 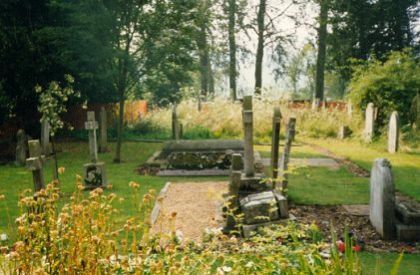 To facilitate mowing, no markers or Memorial Plaques in the turf are allowed, but an area of gravel has been designated for placing containers of flowers or plants. 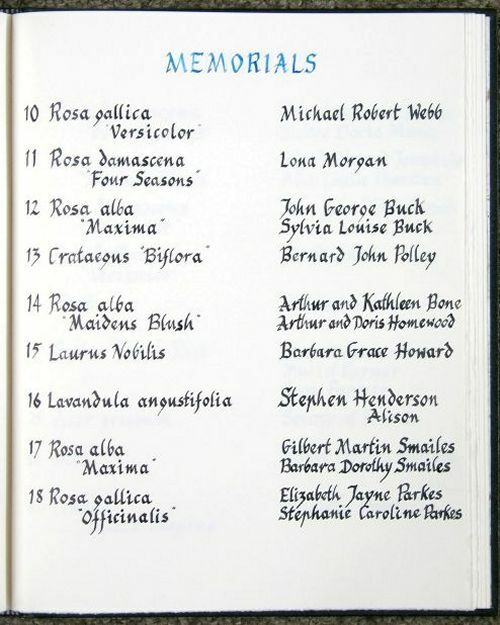 However, to provide a permanent record of the burials the Book of Remembrance was initiated. 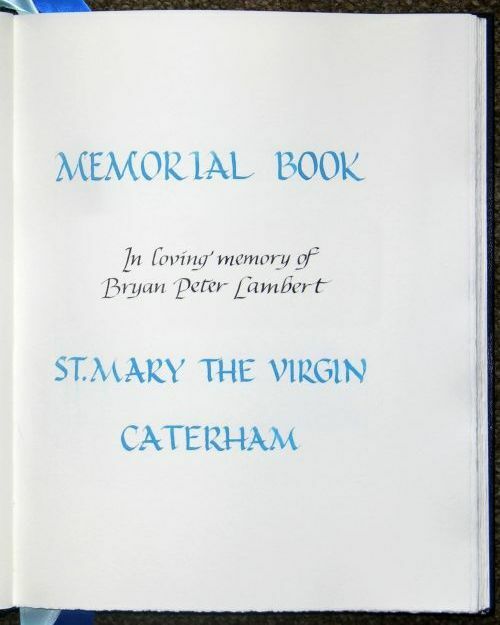 A generous donation for the Book was made by Joan Lambert in memory of her husband Bryan Lambert who had been very active in St. Paul’s Church and was a Reader at St. Mary’s. 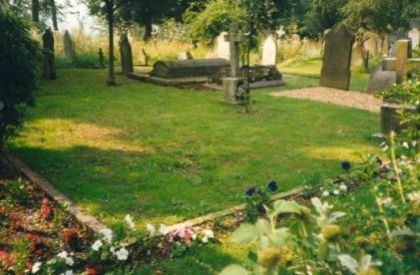 Bryan’s ashes were the first to be buried in the Garden. 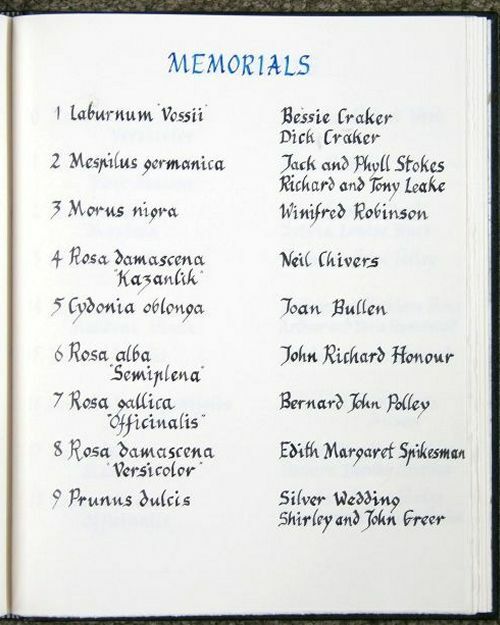 The Book was designed by Joan Sherwood and made by a Mrs. Rhona Smith, a bookbinder from Slougham, who sadly died a few years ago. 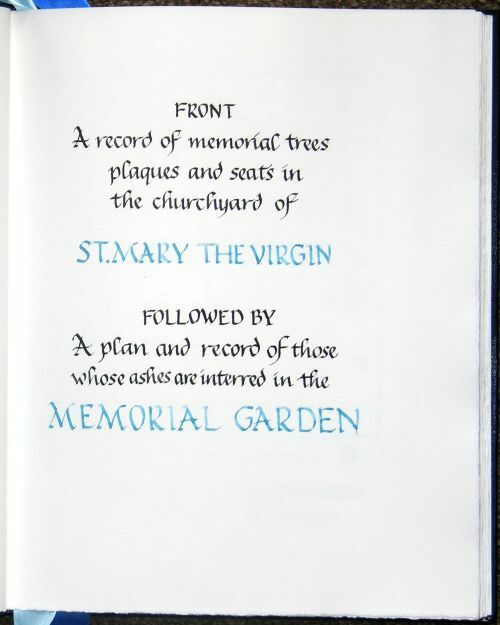 The Book is beautifully crafted with hand-laid paper and a leather cover embossed in gold. 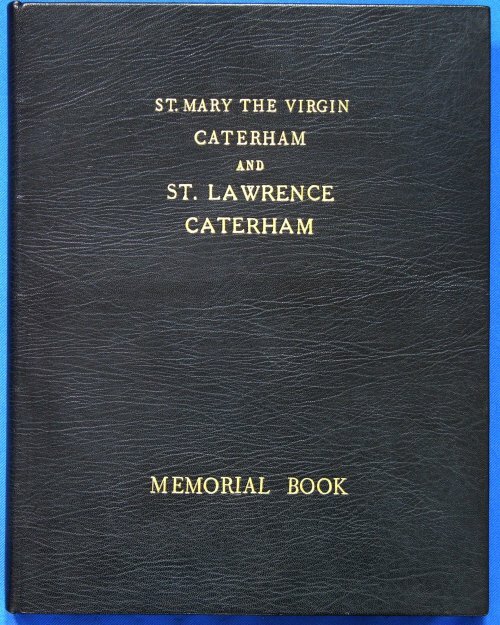 The legend on the cover includes the Church of St. Lawrence. 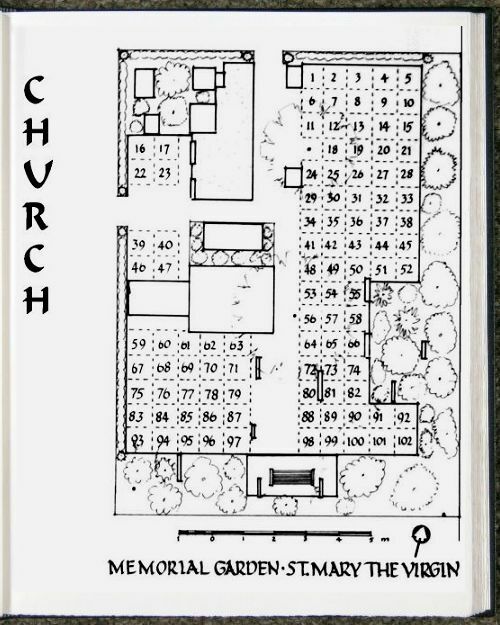 Joan planned the layout and made all the entries for many years until ill-health prevented her from continuing. 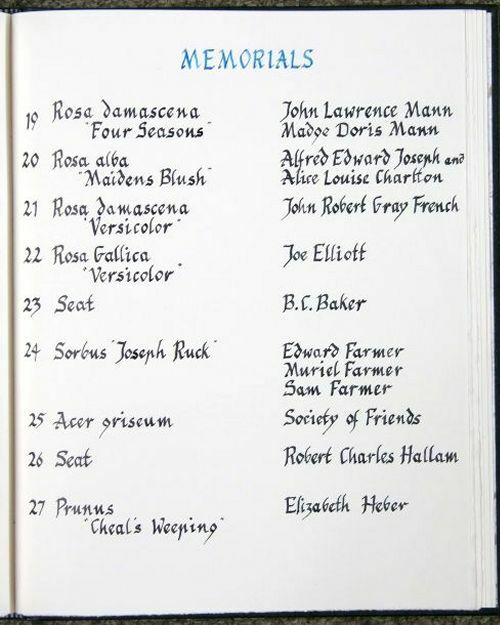 Penny Swan then helped out, squeezing calligraphy into her very tight domestic schedule. 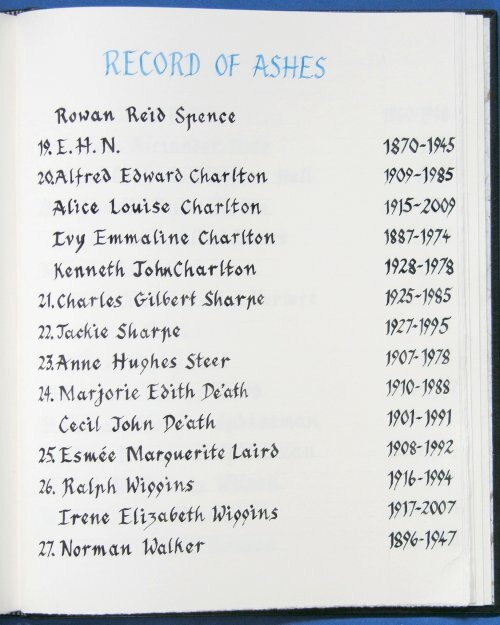 Currently Charley Lunn is keeping the Book up-to-date – no mean task with all the extra entries I’m planning. 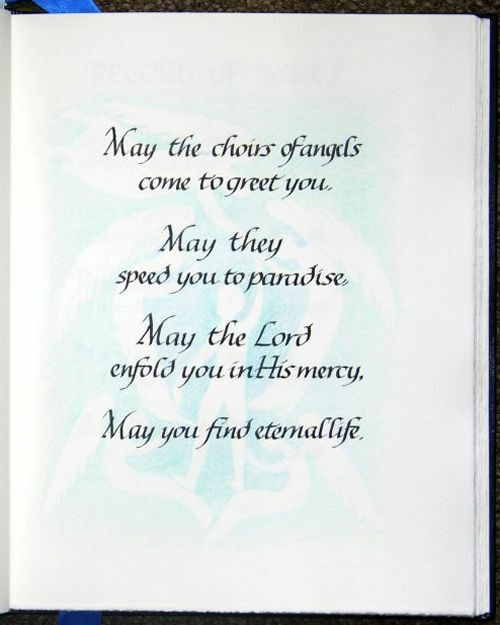 Our very sincere thanks to Joan, Penny and Charley. 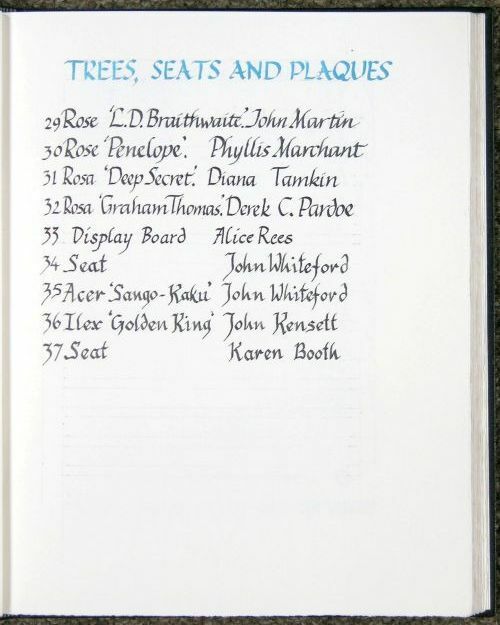 We must also thank Denise and Phil Clarke for donating the very fine oak cabinet in memory of their son Alex who died in 1996. 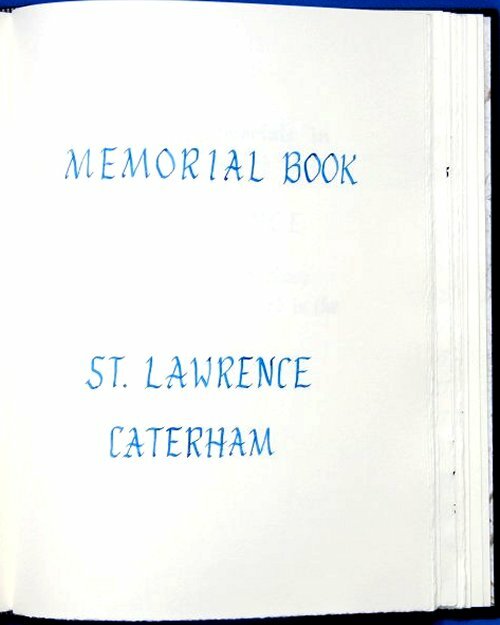 The cabinet is located in the North aisle by the organ console and is kept locked, but please ask if you wish to view the Book. 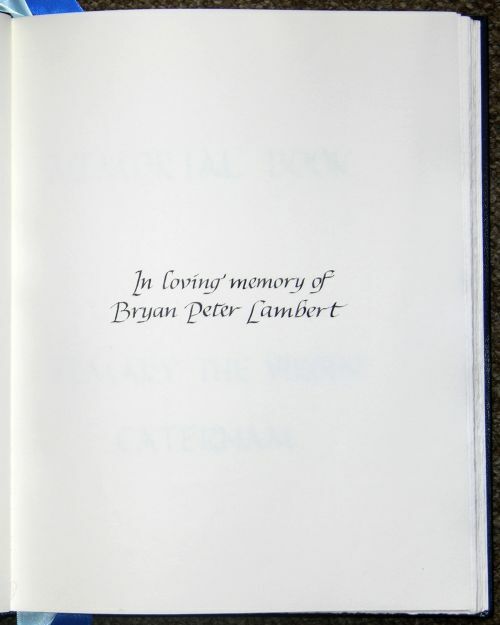 Please wear the white gloves provided when turning the pages. 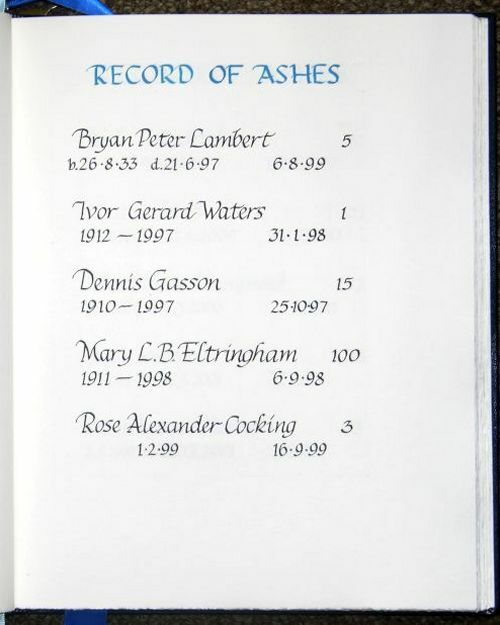 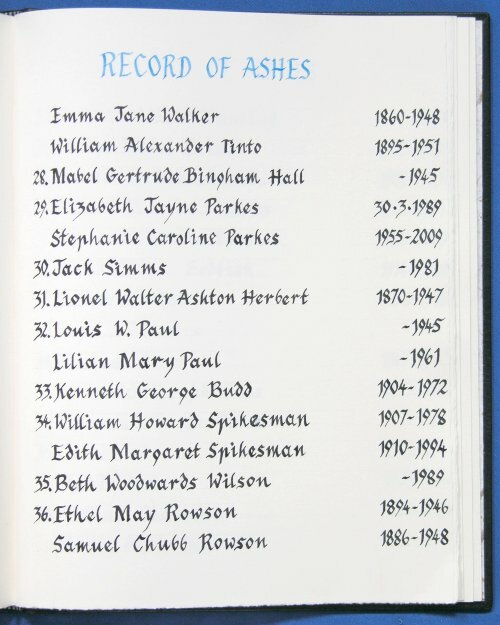 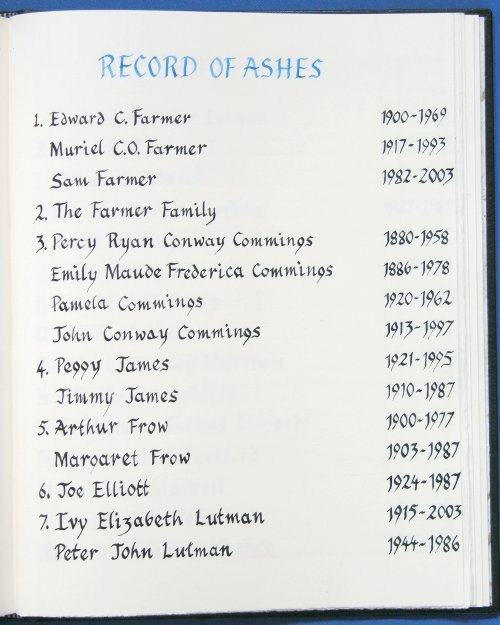 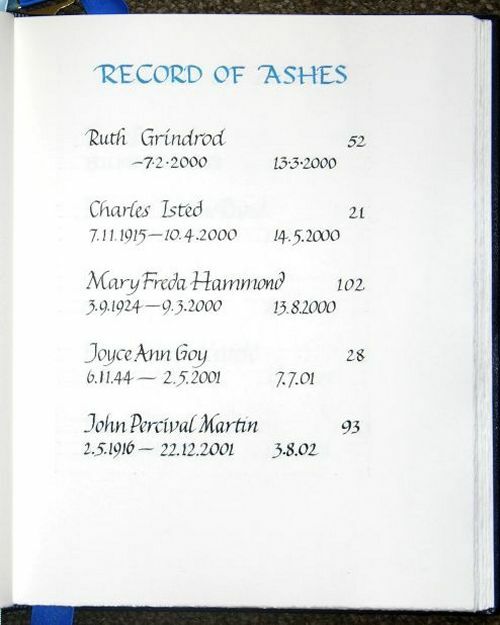 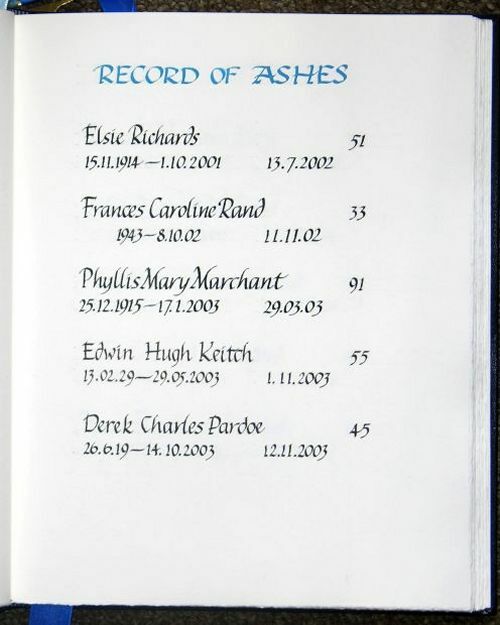 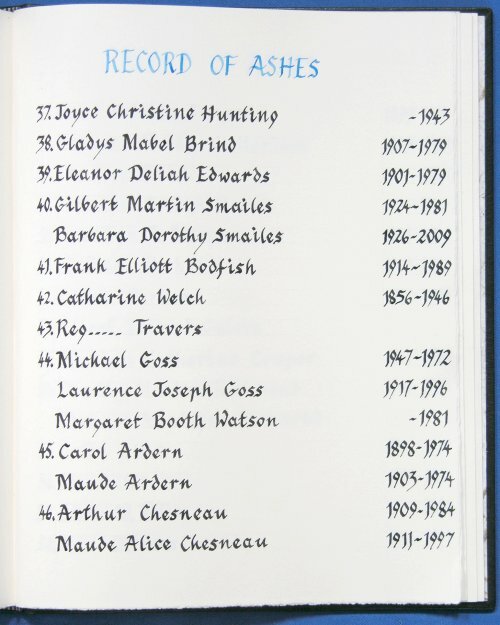 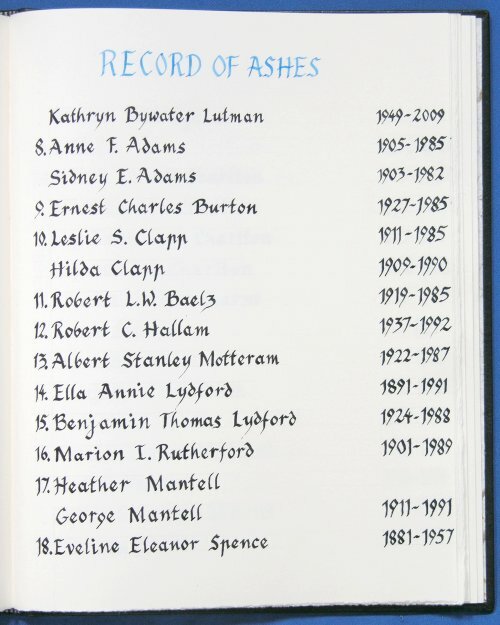 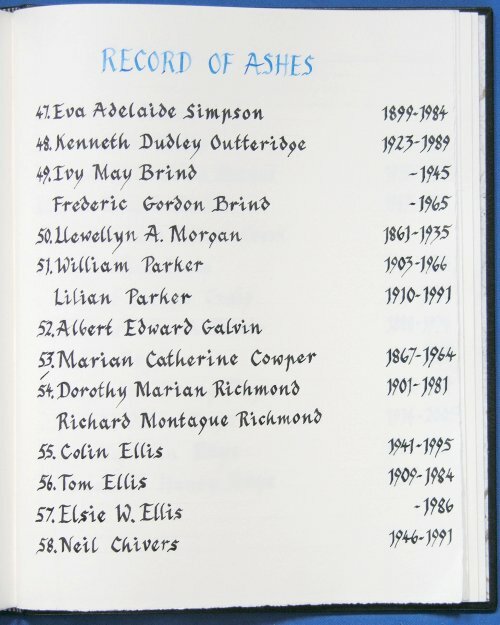 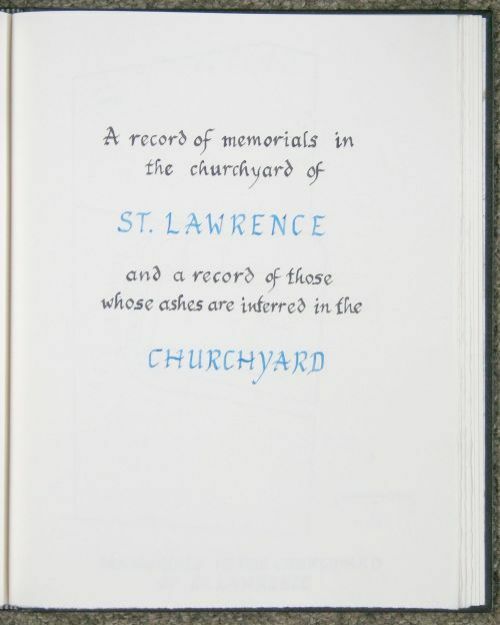 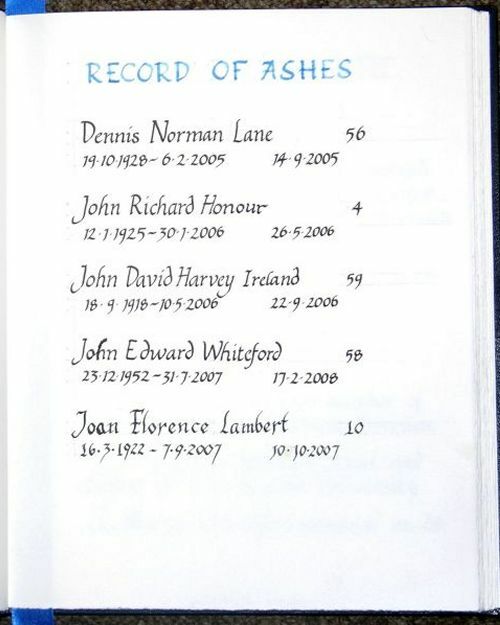 The scope of the Book of Remembrance has now been expanded to include a record of Ashes Interred and Memorials in the churchyard of St. Lawrence, (but excluding the old graves). 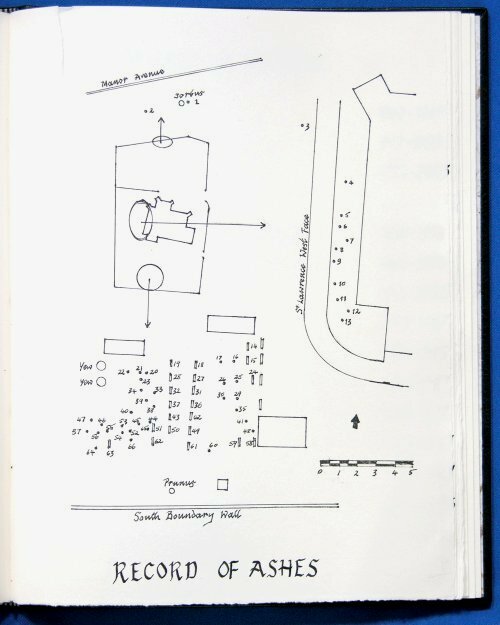 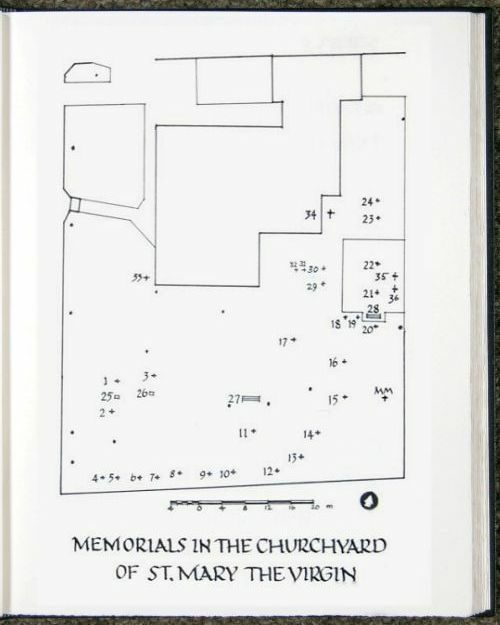 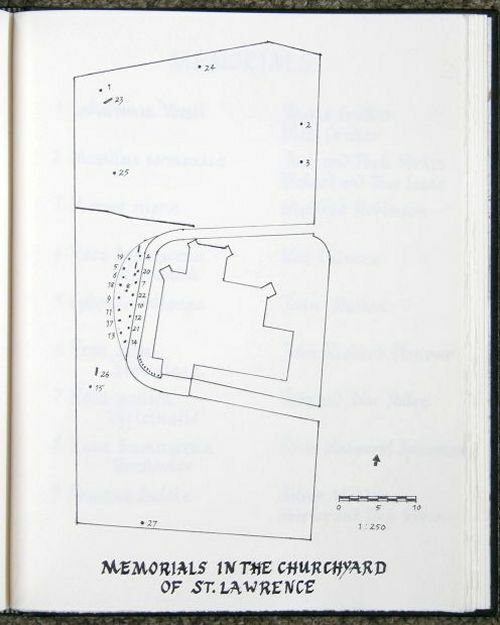 A site plan of all the visible Memorial Plaques in the Churchyard had to be prepared: they are distributed in a very random fashion in various locations, and no record of the interments can be traced. 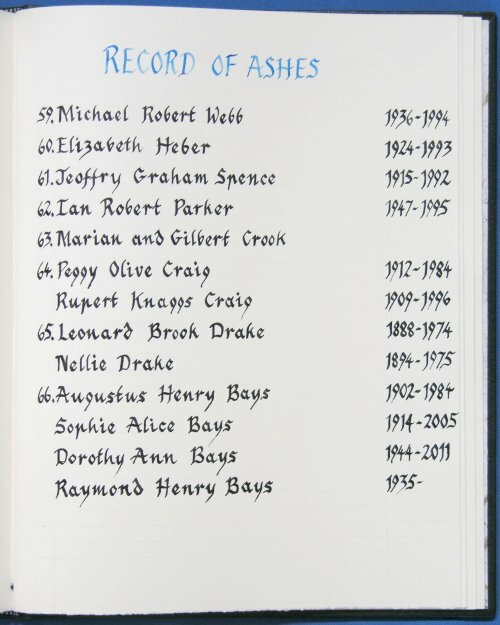 We aimed to make a completely accurate record, but apologise for any errors of omission. 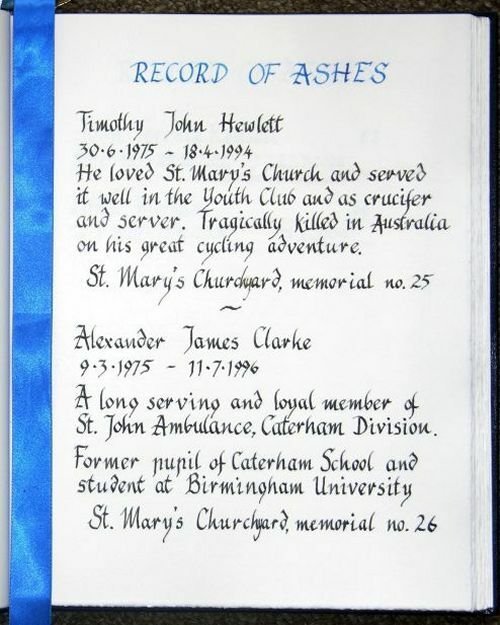 The survey is now complete and the Book of Remembrance has been brought up to date. 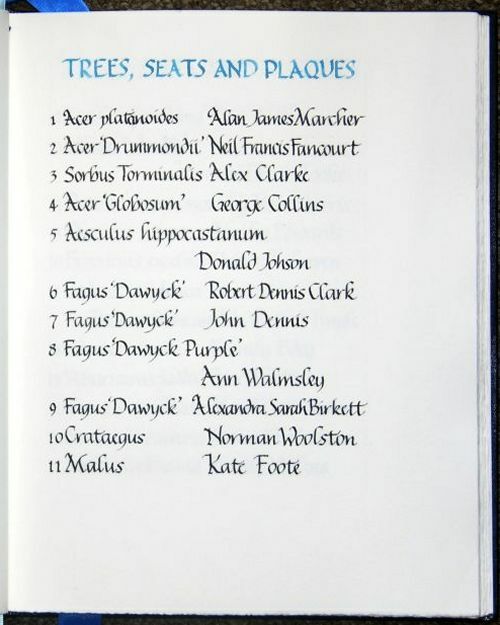 I do recommend that you take a little time to view the Book, if only to admire the skills of the calligraphers. 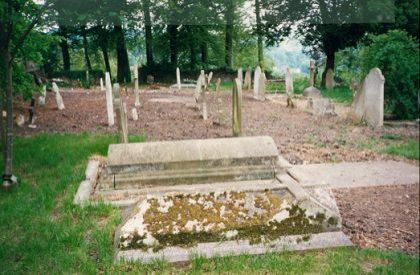 Pictures from the original clearance in 1995.